Central Idea: Doing good. Doctrine: The Second Commandment. Practical Application: Honoring God’s name. To see the readings, click here (Lectionary: 30). Central Idea: We are here not to do evil, nor to do nothing, but to do good. God promised to make Abraham the father of a nation and to give his descendants a good land. By Moses’ time, some 400 years have gone by and the descendants of Abraham have become numerous, but not only do they not yet have a land, they are enslaved and oppressed in Egypt. Through Moses, God renews his promise to Abraham, asking Moses to be his instrument to lead Israel out of Egypt into the Promised Land flowing with milk and honey. The other extremely important thing that happens in this passage in Genesis is God’s disclosure of his name: “I AM” or, “I AM WHO AM.” In philosophical language, God not only has the fullness of being, he is BEING itself. He is the self-subsistent being, whereas we are beings who get our existence from others: our parents and God. God who is, is also good. The LORD is kind and merciful. In fact he possesses every quality we can identify as good in its fullness. and they have been written down as a warning to us. St. Paul is saying we, today, can also experience the bad fate of many of the children of Israel if we don’t behave ourselves. St. Paul is just echoing his master, Christ. We are not to think we can do whatever we want and everything will be okay. If we behave badly, we will perish. However, it is not enough that we just avoid doing evil. 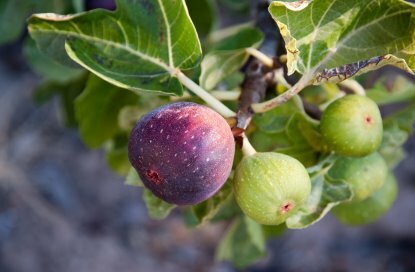 The point of the Parable of the Fig Tree is that we must bear good fruit. We must positively do good. Otherwise, we are just taking up space. For some of us the question is, when will I begin to bear good fruit? We should give God’s name — including the name of Jesus Christ — supreme respect. This respect extends to the Blessed Virgin Mary, the saints, and all holy things. Respect for God’s name includes oaths and vows. To take an oath is to call upon God as a witness to a truth or a promise. Therefore, an oath must be taken in truth, necessity, and justice. A vow is a promise made to God. These promises require commitment, a serious obligation, and free will in order to be valid. Sins against the Second Commandment include blasphemy and ridicule of the Faith. Christians must defend and profess faith in God’s name by reacting in a peaceful and reasonable way to sins against the Second Commandment. Some people show reverence for Jesus’ name by bowing their head slightly whenever they say or hear the name Jesus. Unfortunately, many people take God’s name in vain many times a day thoughtlessly, out of anger, or frustration, or to get a reaction. When we take God’s name in vain we can make a silent act of reparation and then bring that to confession. When we hear others do so, we can also make a silent act of reparation. Using prudence, we can also correct the other. The basic content could be something like this, “I love God very much, and when you say that, it really hurts me.” This would be a peaceful and reasonable way to react to a sin against the Second Commandment.